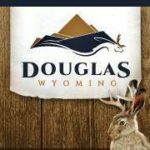 Address 101 N. 4th St.
Short Business Description: The City of Douglas, the Home of the Jackalope, promotes, provides, and delivers vital resources to its residents and visitors to allow them to live, work, and play in a great community. Douglas starts with “DO” •	We DO model hometown pride. •	We DO keep Douglas an attractive, fun community. •	We DO value the contributions and respond to the needs of ALL of our citizens. •	We DO all that is possible to create a diversified healthy economy. •	We DO encourage responsible, sustainable development. •	We DO give residents and visitors opportunities to live, work and play in the Home of the Jackalope. Short Business Description: The mission of the Converse County Clerk’s Office is to provide courteous and prompt service to the public in all aspects of the duties given to the County Clerk through Wyoming State Statutes, as well as the policies set forth by the Converse County Board of Commissioners. As public servants, we will provide a welcome and pleasant environment to all customers seeking the services of the office. Short Business Description: The Commissioners meet in regular session on the first Tuesday and the following Wednesday of each month, as well as on the third Tuesday. All meetings are held in the Commissioners Chambers in the Courthouse and begin at 8 a.m.
Short Business Description: Converse County Library System – providing a wealth of resources to make a positive difference in the lives of our patrons. Short Business Description: The Wyoming Business Council is the state of Wyoming’s economic development agency. 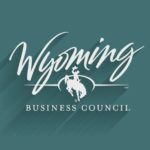 The Business Council works with private businesses, state agencies, local governments, local economic development groups, partners and nonprofits to grow and diversify Wyoming’s economy, create jobs and enhance quality of life.